How much chance for a wait list to get in Case Western? What are the choices? Thanks! Only a few people get selected off the waitlist. There is only 4-5% chance. So if you have any other option, take it. Instead of waiting for waitlists. Most students are disappointed. so 333/4732=about 7% for last year's waitlist acceptance rate. @Eeeee127 agreed that it's unlikely you would see that sort of merit-based aid. Michigan is a great school! What do you want to study? @Glang77 I emailed them back in February and was told that scholarship winners would be notified on or around March 20, so I'm assuming we should hear back soon. What I don't understand is that online it states that finalists would be chosen for an on-campus competition in March....but when I emailed them I got the impression that there is no competition and they will simply notify the recipients of the scholarships at the end of March or by April. There isn't much clarity. The admission committee has carefully reviewed your application and has determined that we cannot extend an offer of admission to you at this time. Is this a reject or a waitlist? @Manohar123 That's a rejection. If you're waitlisted they say it explicitly and you also have to click something else to accept your waitlist spot. Someone asks if they offer merit to waitlisters...yes, they do. "As we enter the final weekend before the National Candidate's Reply Deadline of May 1, we have closely monitored the responses to our initial offers of admission and it appears that we will have a limited number of places available to admit students from the wait list. I am contacting you because you have indicated your interest in Case Western Reserve, and we would like to be able to consider your candidacy for the Class of 2018. If you are offered admission, you will also be offered a scholarship of $25,000 per year. If you qualify for additional financial aid, we have also prepared a preliminary financial aid award for you, which you can view by logging into our financial aid portal at http://financialaid.case.edu/myfinancialaid.aspx. 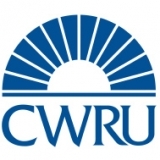 You will need your activated CWRU Network ID to login. Instructions on activating your ID are below. Once you have reviewed this information, (and your financial aid, if applicable,) you will need to get in touch with us as soon as possible at [email protected] or 216.368.4450. Admission counselors will be answering the phone between 9 AM and 5 PM EST on Saturday and Sunday, and responding to email throughout the weekend. The admission committee will also be meeting throughout the weekend, and we want to be able to extend offers of admission as quickly as possible to students like you who are most interested in becoming part of the Case Western Reserve community. Please be in touch with us as quickly as possible to let us know of your interest and with any questions you may have. Once again, if you are interested in being admitted from the wait list and your scholarship and aid package makes it possible for you to attend, it is imperative that you respond to this email right away with an indication of your level of interest." As a NE Ohioan and parent, I have to admit I'd be concerned sending a son or daughter to live in that area. Absolutely great academic institution, but crime has been an ongoing problem. If you google Case Western and "robberies" or "muggings", you'll see that 9 robberies occurred on campus in a two week span after last Halloween, with I believe seven occurring at gun point. A priest was pistol whipped near campus a year ago. Maybe isolated incidents, but that's scary. In any urban setting you have to deal with city issues, but I've never felt there's been much transparency with parents about this crime issue around that campus. For those of you waiting on named scholarships - I called the admissions office and finalists have been notified. Do you guys know if Case has mailed out their acceptance packages yet?